According to this religiously motivated serial killer, Islam’s Zamhari Hell is so cold, it burns. In that case, it would not mean much if Hell froze over. Regardless, Hell may very well have frozen over judging from the surprises this Austrian thriller has in-store for viewers. In addition to being relentlessly tense, it also stays true to current realities, in ways that would be spoilery to explain. 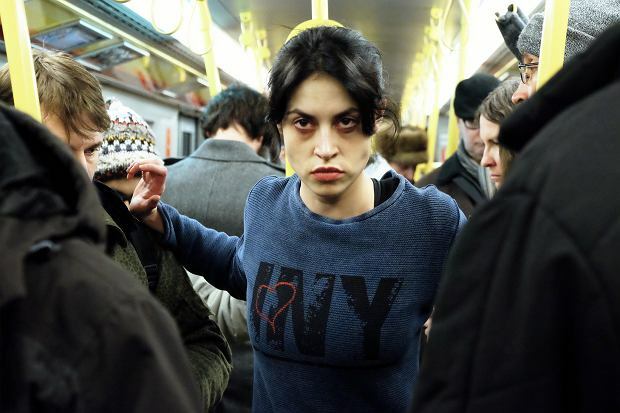 It also happens to be the work of an Academy Award winner, Stefan Ruzowitzky (for The Counterfeiters). Hitchcockian elements get a very-of-right-now spin in Ruzowitzky’s Cold Hell (trailer here), a Shudder exclusive, which premiere tomorrow on the horror streaming platform. Özge Dogruol has a right to be bent out of shape. She constantly endures hostile sexism, especially from her Muslim Turkish family. She is closest with her cousin Ranya, whose husband employs Dogruol as a cab driver. She even faces condescending chauvinism at her Muay Thai gym, but fighters quickly change their tune after going a few rounds with her. She is a tough customer, but she is still alarmed to see a shadowy psycho torturing a prostitute to death through a courtyard window, especially when she realizes he noticed her watching. Initially, the Archie Bunkerish Det. Christian Steiner dismisses her fears. He still isn’t very compassionate when Rayna is murdered wearing her jacket. However, he finally admits she might be in peril when the killer tries to murder her in her own cab, causing a series of spectacular accidents as a result. In addition to playing the killer’s cat-and-mouse game, Dogruol is determined to protect Rayna’s toddler daughter Ada from her pederast father. It is a lot of pressure, but at least she somehow forges an unlikely alliance with Steiner. Cold Hell played a number of horror-specialty festivals, but it is really a dark thriller in the tradition of Se7en, but considerably superior. This is a lean, mean psycho-suspense machine. It all starts with Violetta Schurawlow blowing the doors off the joint as Dogruol. If it were not for Kim Ok-vin’s action lead for the ages in The Villainess, Schurawlow’s Dogruol would probably rate as the best action heroine since Angela Mao retired. She is intense, vulnerable, and completely credible when administering a beatdown. Schurawlow is also terrific playing off and with Tobias Moretti’s Steiner. Although unlikely, their sharp-edged chemistry is so potent, it just carries us along, sweeping us past any credibility objections. On the other side of the ledger, Sammy Sheik is relentlessly sinister as a character who turns out to be rather malevolent. 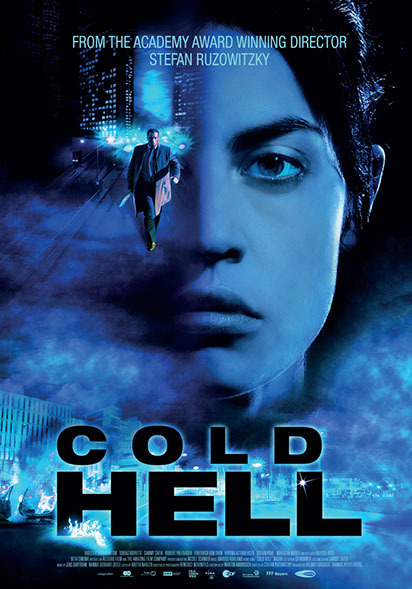 If a Social Justice Warrior ever watched Cold Hell, they would probably start protesting. Fortunately, they really do not pay attention to indie and international genre films, because this is an absolutely dynamite thriller. Cinematographer Benedict Neuenfels makes it all look ultra-stylish, in the De Palma-esque tradition of being Hitchcockian. Ruzowitzky keeps it hurtling along like a runaway train, while eliciting gritty but sensitive work from his ensemble. It is easily one of Shudder’s best exclusive acquisitions. Very highly recommended, it starts streaming on the horror service tomorrow (3/15).